Another season of ‘Pilipinas Got Talent’ awaits. Now on its sixth season, ‘Pilipinas Got Talent’ will once again welcome some of the Philippines’ most unique and breathtaking talents. Whether they can sing, dance or perform spectacular and unusual feats of strength and skill, ‘Pilipinas Got Talent’ has them all covered. Joining in the fun are hosts Billy Crawford and Toni Gonzaga, along with judges Freddie Garcia, Angel Locsin, Robin Padilla and Vice Ganda. Also making its return will be the coveted Golden Buzzer, which will now be used by the hosts as well as the judges to determine which acts will make it straight to the semifinals. Live auditions for ‘Pilipinas Got Talent’ are currently underway, with the Visayas and Mindanao auditions already finished last month. For its opening salvo this weekend, the Metro Manila auditions will be showcased where the judges evaluate the area’s aspirants. Last season’s ‘Pilipinas Got Talent’ saw Power Duo emerge as champion, marking the first time in the show’s history that a non-singer won the competition. It also proved that ‘Pilipinas Got Talent’ is more than just a typical sing and dance show, but rather a series in which all unique talents of various fields are given a chance to shine. If last season was of any indication, then the upcoming sixth season of ‘Pilipinas Got Talent’ should expect more of the same, if not better. That said, it will be interesting to see how this year’s cast will hold their own in front of both the judges and viewers. Of course, if anyone performs exceptionally well, then the Golden Buzzer will serve as their ultimate ticket to the highest level of competition. With that, good luck to all the up-and-coming acts who will grace the ‘Pilipinas Got Talent’ stage. ‘Pilipinas Got Talent’ season 6 airs every Saturday at 7:00 p.m. and Sunday at 7:30 p.m. on ABS-CBN. The third series in the ‘Lobo’ franchise is about to unfold. Starting Monday, the popular tandem of Kathryn Bernardo and Daniel Padilla will grace the small screen anew in ‘La Luna Sangre’, the third installment in a saga that began with ‘Lobo’ and continued with ‘Imortal’. 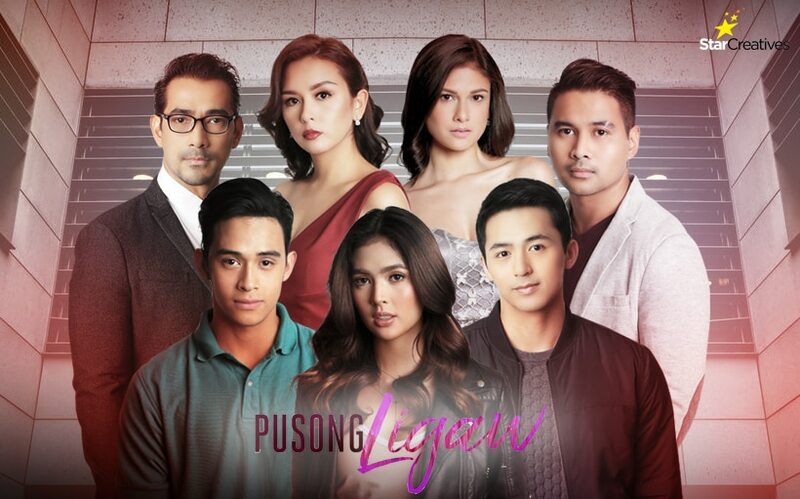 The new series, which will be set in the world of werewolves and vampires, will also have Angel Locsin and John Lloyd Cruz playing special roles. Picking up from where ‘Imortal’ left off, ‘La Luna Sangre’ begins with the former’s lead characters Lia (Angel) and Mateo (John Lloyd) now living a simple life as mortal beings. During their transition to normalcy, they raised a daughter named Maila (Kathryn). Unknown to them, a prophecy called “La Luna Sangre” is about to haunt them. The prophecy says that “the child of the most powerful vampire and the chosen wolf will end the evilness of the vampire imprinted with the cursed ink”. Shortly after raising Maila, a vampire named Sandrino (Richard Gutierrez) arrived in an attempt to kill Lia and Mateo, and in the process turn Maila over to the dark side. Try as they might, Lia and Mateo have no more powers to save them, and in the end, Maila was orphaned to Sandrino’s world in hopes of fulfilling the prophecy. But after turning 21, it turns out Maila was still a mortal woman, and she decided to leave the dark side in order to resume her normal life. There, she met and befriended Tristan (Daniel), a young man who seeks to kill one of the vampires that killed his father. As the story goes along, Maila’s thoughts will be conflicted between vampire hunter Tristan and the dark world she left behind. That said, expect ‘La Luna Sangre’ to encounter some twists and turns in this haunting struggle between immortality and justice. The supporting cast of ‘La Luna Sangre’ will include the likes of Randy Santiago, Gelli de Belen, Desiree del Valle, Niña Dolino, Dino Imperial, Bryan Santos, Ina Raymundo, Nikki Valdez, Mike Agassi, Joross Gamboa, Tony Labrusca and Sue Ramirez. 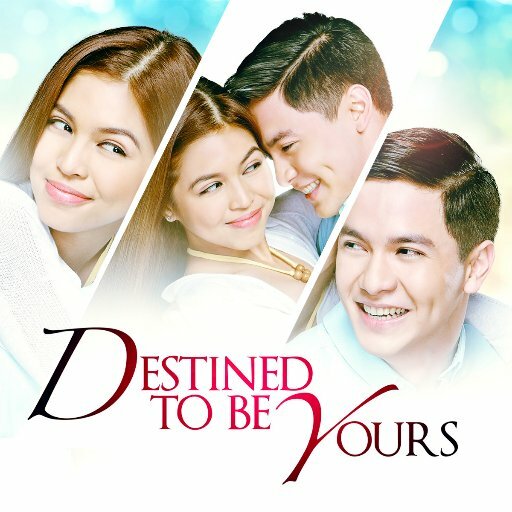 It will be directed by Cathy Garcia Molina and produced by Star Creatives. If the previous small screen success of KathNiel (and of Cathy Garcia Molina) is any indication, then expect ‘La Luna Sangre’ to enjoy a similar path. 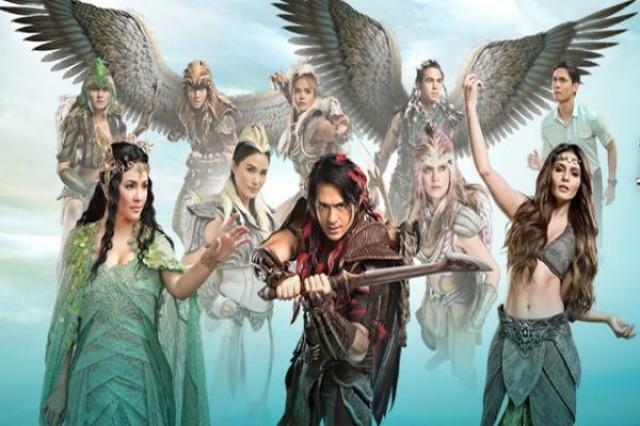 Still, it will not be easy to follow a pair of popular predecessors in ‘Lobo’ and ‘Imortal’, so let’s see how this upcoming series will unfold in front of millions of viewers. ‘La Luna Sangre’ airs weeknights after ‘Ang Probinsyano’ on ABS-CBN’s Primetime Bida.